The SQL ASCII is one of the SQL String Function, which is used to return the ASCII code of the left most character of a character expression. 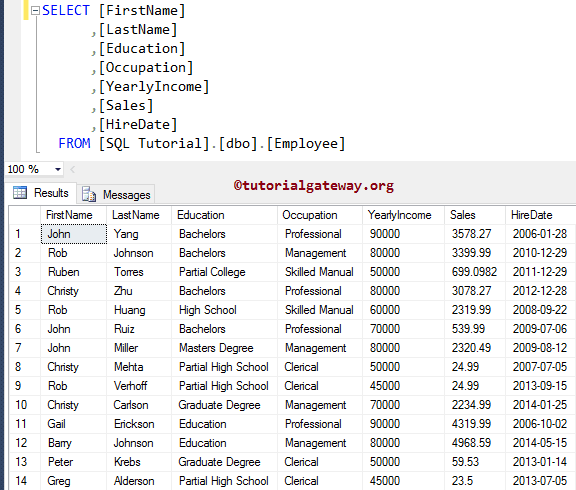 In this article we will show you, How to use/write ASCII in SQL Server with example. Character_Expression: Please specify the valid Expression for which you want to find the ASCII code. ASCII Function will return the ASCII code of the left most character of this expression. This Character_Expression can be a Char, or Varchar. 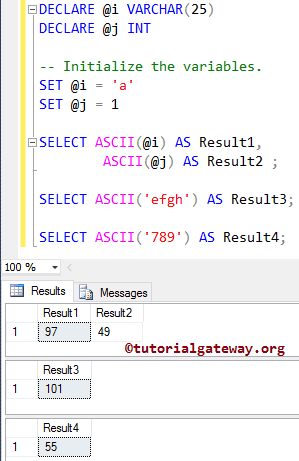 The Sql Server ASCII Function is used to return the ASCII code of the leftmost character of the given expression. The following query will show multiple ways to use this function. Below lines of code is used to declare two variables of type VARCHAR and Integer type. Next, we assigning the string data ‘a’ and 1. From the below statement, you can see that we are finding the ASCII code of alphabet ‘a’ and integer 1. We also assigned new names to the result as ‘Result1’, and ‘Result2’ using ALIAS Column. 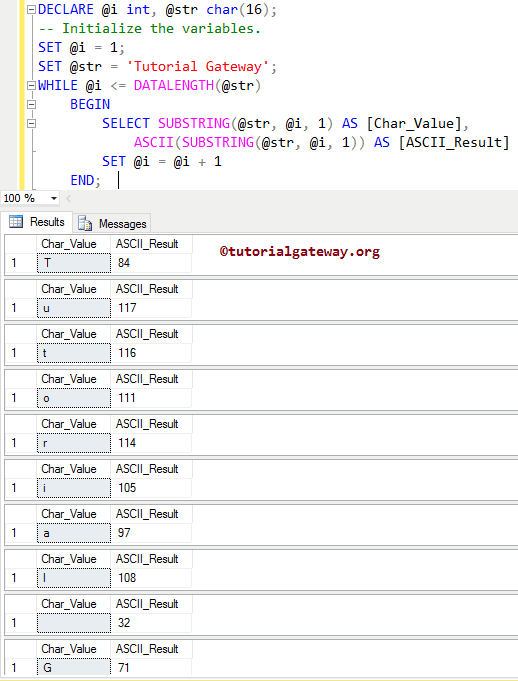 In this example, We are going to use the SQL ASCII function inside the WHILE LOOP. I suggest you to refer both the SUBSTRING and WHILE LOOP articles to understand the query execution. 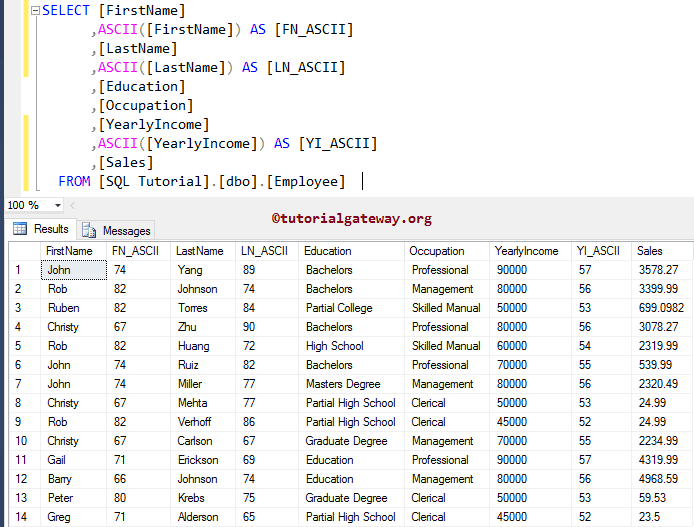 Following statement will return the ASCII code of leftmost character in [FirstName] column and [LastName] column, and ASCII code of leftmost number in [YearlyIncome] column.